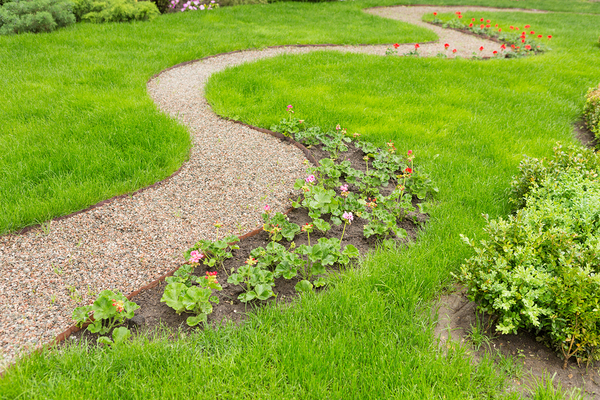 If this is what your paths look like, it’s time to slip-proof your garden. If you slide along your front steps and stagger to your car every winter morning, this might seem like good aerobic exercise, but it is ultimately a hazard to your health. Winter falls can lead to much more than bruises: they also lead to sprains, strains, and breaks every year. Investing in a slip-free garden is an investment in your health. 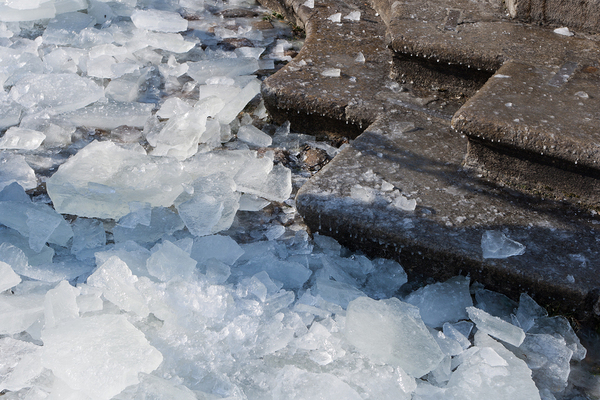 What are the best ways to reduce slipping around your home this winter? You can slip on any amount of ice, however small, so if there is a place in your yard where black ice or regular ice accumulates, make it as safe as possible by adding railings and lighting so that you can see where you are going and ensure that you don’t fall. While this doesn’t remove the ice and snow, it does reduce the chances of slipping on it. One of the biggest hazards in your garden occurs when snow melts, then freezes and turns to ice. This can turn your entire driveway or pathway into a huge skating rink. In this case, you want to get on top of your snow removal before it melts. According to Pure Living, the best snow removal tip is to “do your snow removal quickly and often. Nothing is worse than having heaps of snow in areas it shouldn’t be when the temperatures warm up.” Book a driveway cleaning company early, shovel regularly, and put down ice melter even if you’ve removed most of the snow from the area. That way, it will be much harder for the snow to turn to ice again once the temperature drops. Improving your garden drainage will ultimately reduce slipping hazards. Changing pathways so that the path or areas around it are permeable. Water pools on concrete, while it can sink in through gravel. One way to avoid puddles in your garden is to add a gutter cover to your gutters. Gutters are made to send water from your roof into a storm drain system or your garden, but if they aren’t clean, they send water right over the edge of the gutter instead. During the winter months, this can be particularly dangerous because the puddles that the gutters create can then freeze, leading to miniature skating rinks right next to your home. Instead of skating around your house, add a gutter cover instead. This will send leaves off the edge of the gutter and send water into the ground, a rain barrel, or an appropriate location in the garden, making it safer to navigate around the exterior of your home. Your garden should be a safe and enjoyable space for all of your family members. Make it easier to keep your garden slip-free by adding a gutter cover to your gutters this year. At Harry Helmet, we’ll put our decades of experience to work and help make your home safer. Schedule a free estimate today.